The motto of New Orleans provides: "Laissez les bons temps rouler" or in literal translation from the Latin "Let the good times continue." This optimistic motto of the U.S. city shows fighting spirit of its inhabitants, given the huge disaster and destruction, which brought the New Orleans Hurricane Katrina in 2005, then natural havoc on most of the inhabitants on their native place of whom returned later in New Orleans and continued to justify the slogan of the city. They call New Orleans the more carefree city, because of the "lawless" and carefree lifestyle of its citizens. Specific features of the city are more deserving of its nicknames of the Crescent City and the Big peacefulness. New Orleans is located in the state of Louisiana in the United States of America. This is one of the territorial units of the south eastern United States, bordering the Atlantic Ocean. New Orleans is located southeast of Louisiana, and is very close along the Mississippi River. 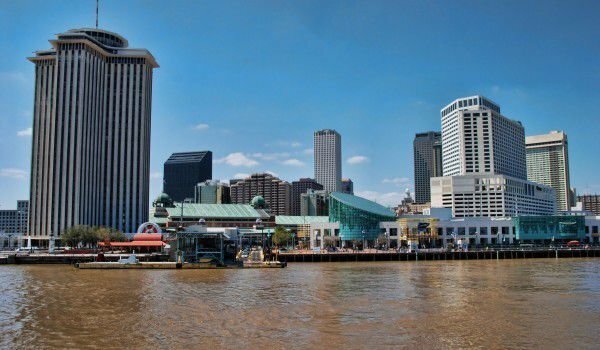 Around 500, 000 people live in the city and the number of inhabitants including the suburbs of New Orleans is approximately 1.4 million people. New Orleans homes the Lake Pontchartrain. Over this large lake were built the two bridges known as Lake Pontchartrain Causeway, which with its length of 384 km is considered the longest in the world. East of New Orleans is the Borgne Lake. Because of its proximity to the Gulf of Mexico and Mississippi River, New Orleans is considered one of the most important U.S. ports. The great role as a major port city in the region for New Orleans is mostly due to the important merchandise to and from Latin America. The bay of New Orleans has a lot of oil drilling, which requires the developed oil industry, which rather helps the economy of New Orleans, as many probes are set out in the bay. The largest seaport in the U.S. in general is located in the urban agglomeration of New Orleans. New Orleans goes back to 1718 when founded by a Frenchmen. Since then, the city plays an important role in the history of French Louisiana, and in general in the history of the United States. New Orleans is named after Philippe d'Orléans (1674-1723), who was regent and ruler of France in the years when the building of the city in Louisiana took place. Central France has another location, which is named Orlian. In 1768 the French colony of the city rose in revolt, with the result that he expelled the Spanish governor. This act is accompanied by a large street parade, which has remained the name of so called today, French street. Cultural diversity in New Orleans is one of the charming features of the city, making it a rich and colorful place. Strong French, Spanish and African-American influence have left traces in the culture of New Orleans, the music, which sounds the streets and in the specific, its cuisine. The town near the Mississippi River homes some of the most grandest festivals and celebrations. These noisy celebrations, attracts many tourists from around the world. Among the most popular festivals are the festival, Mardi gras, Sugar Bowl and the Jazz fest which is one of the styles you hear all over town. There was born the great, Louis Armstrong in 1901.